Hi to you faithful readers of the blog. I am sincerely sorry for all these weeks without any publication. In the next months I will try to find a more regular rhythm to offer you again many maps. Today I propose the fifteenth level of my Modular Cavern project. Billed by a substantial gain in gold, the magician Eldarin once again overestimated his skills by agreeing to invoke a rock worm for the Lord Asilas in order to entertain the public at the great winter fair of Kenvouliag. 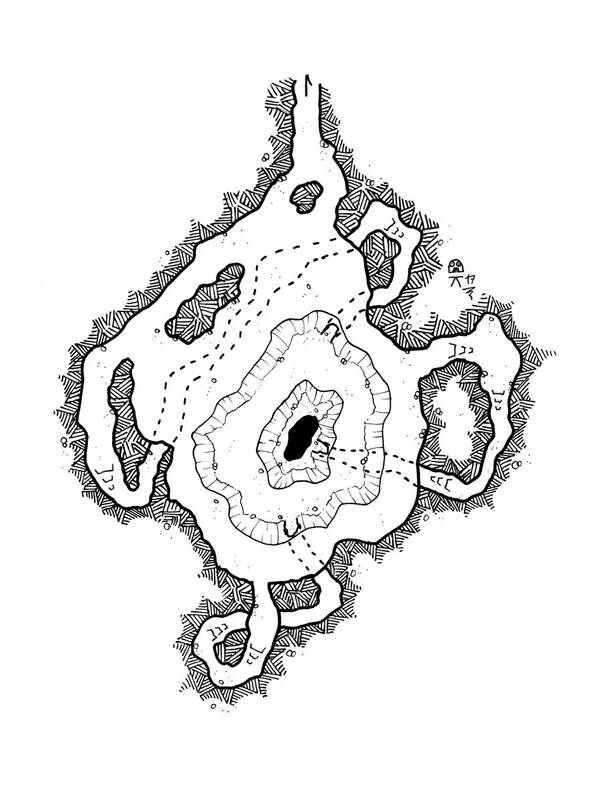 Obviously, the creature managed to escape the magician’s control and fled, leaving behind a gaping hole and an unnamed mess. The rock worm found refuge in a cave several thousand miles away. The arrival of this ignoble creature didn’t go unnoticed on the surface. The small town of Eigonen has experienced violent seismic shocks and the tunnels that the worm dug to build its burrow have dangerously weakened the foundations of some buildings. The village council hastily sent a group of sturdy men to explore the caves of the Shining Rat located not far from the village but none of them returned. The tremors being more and more numerous and violent, the grand council seeks in vain adventurers to elucidate the evil that disturbs the tranquility of the peaceful little hamlet.